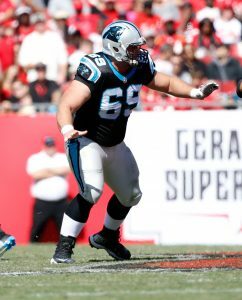 Center/guard Tyler Larsen has agreed to a two-year, $4.4MM extension with the Panthers, Jordan Rodrigue of the Charlotte Observer tweets. The deal, expected to be signed on Wednesday afternoon, includes $1.4MM guaranteed. Larsen, 27, is an important depth piece for the Panthers, particularly in the wake of Amini Silatolu‘s torn meniscus. Undrafted rookie Brendan Mahon may start at left guard in Silatolu’s absence, but Larsen is in line for increased reps no matter what due to his ability to play guard or fill in for Ryan Kalil at center. Kalil, meanwhile, says the 2018 season will be his last, so Larsen could be a low-cost option to start in 2019. 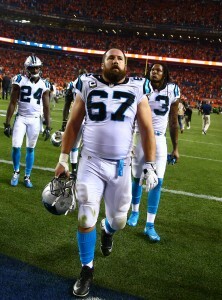 Larsen, a Utah State product, has appeared in 23 games for the Panthers over the last two years. He did an admirable job of filling in for Kalil last year and graded out as Pro Football Focus’ No. 17 ranked center in the NFL. 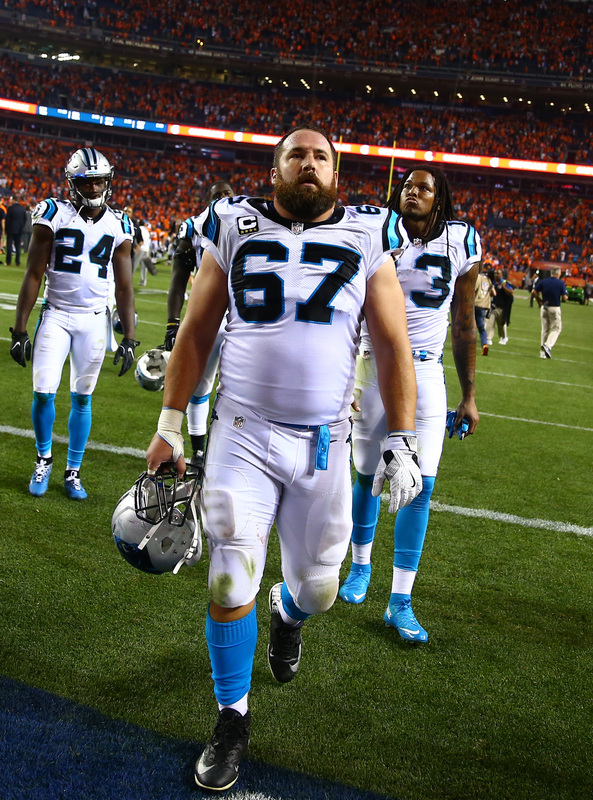 Longtime Panthers center and two-time First Team All-Pro Ryan Kalil said he plans to play at some point in 2017, Joseph Person of the Charlotte Observer writes. Kalil, who suffered a neck injury in Week 2 that he called “pretty serious,” has played just five quarters all season. He made a return to the field in Week 7 but had to leave in the first quarter after aggravating the injury. He was active in Week 12 vs. the Jets in the case of an emergency and has been a limited participant at practice this week. The 11-year center said he thinks the Panthers expects him to make a return sooner rather than later. “I don’t think they’d let me take up a roster spot if they didn’t think I would be able to,” he said. Despite being without their mainstay in the middle, Carolina has still rushed for the fifth-most yards through Week 12 and are atop the NFC South with an 8-3 mark. Kalil’s return, however, could clear more running lanes for Christian McCaffrey and Jonathan Stewart. Second-year center Tyler Larsen has manned Kalil’s position in his absence. Kalil also noted he plans to play beyond this season. He is signed through 2018. The Panthers have promoted guard Tyler Larsen from their practice squad and cut tight end Scott Simonson, per a team announcement. Larsen, a third-year man who was previously with the Dolphins and Redskins, logged his first career NFL appearance in the Panthers’ Week 4 loss to the Falcons. As for Simonson, this is the second time the Panthers have cut him this year. They previously parted with the 24-year-old Oct. 15 and then re-signed him three days later.